← The first Arizona item is a 2012 calendar. A few years and over 22,000 actuations later, I put some time into reviewing the Pentax K-7 here on my website. Check it out! How much better is the sensor in the K-5? Is the camera worth looking into? The K-7 came out in 2009 as the successor to the K20D, being the third body in the semi-professional digital format from Pentax. It had quite a few improvements I’ll go over later, but kept some key components such as the 14.6 mega-pixel imaging sensor from Samsung. This was the one short deviation from Sony sensors that Pentax did and they have since returned to Sony for the K-5. The K-7 was a return to the classic SLR design aesthetic of older Pentax cameras from the 80’s with a look similar to the LX (especially when it had the add-on hand grip attached). The K-7 brought together that modern yet retro design and incremental technical improvements into an appealing overall package. The K-7 has been one of those cameras that really hit a nerve with me. My only long term DSLR experience up until that point was the *ist DS. I had tried the K10D and K20D in stores before, but they just didn’t have the ergonomic feel I was looking for. I was use to a small DSLR like the *ist DS, so the K10D/K20D style was too large and awkward feeling for my tastes and didn’t give me enough reason to buy one. I had randomly visited a local camera shop and noticed they had a small selection of Pentax with a K-7 available. I asked to try it out and the person working there was like “it has the grip on it… I can take that off,” but I didn’t mind so tried it with the grip. Within a few seconds I decided I needed to eventually buy one. It felt perfect in the hand. As with many Pentax DSLRs, the K-7 is smaller than comparative cameras. This was a return to the *istD ideals with that classic look as I had mentioned. Pentax managed to decrease the size of the K-7 quite a bit compared to their previous model, but improved it in most technical aspects. The casing is magnesium alloy with a polycarbonate back panel surrounded by a steel frame. This leads to a powerful yet compact package and a key signature of my appeal with Pentax. Button layout is generally good, but with a few quirks. The main control dial is on the top left with modes Program (P), ISO priority (Sv), shutter priority (Tv), aperture priority (Av), shutter and aperture (TAv), manual (M), bulb (B), x-sync (X), custom settings (USER), Movie, and auto. The dial itself has a locking button to stop accidental changes that is helpful, but also makes it more difficult to change. Below the main dial there is a switch to change the metering mode between spot, center, and matrix. Also near by are the two buttons that control image review functions. 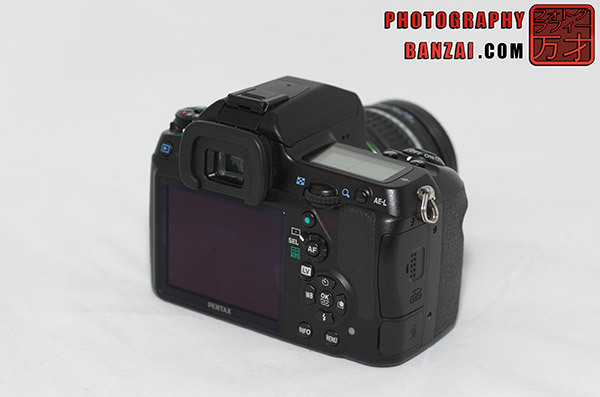 The shutter button and on-off switch combo are like all other Pentax DSLRs. 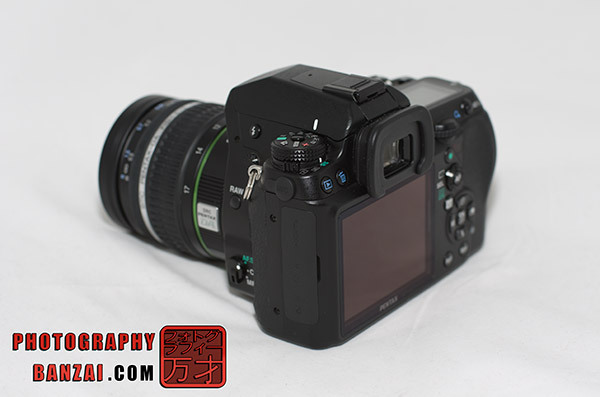 The K-7 has the exposure compensation and ISO buttons directly behind for easy access. They act as toggle buttons to temporarily allow changes to each setting by holding the button down and using the rear scroll wheel. The K-7 comes with two wheels for changing settings depending on the mode selected. When in manual for example, the rear wheel controls aperture and the front controls shutter speed. To control ISO you hold the button down and use the rear wheel as usual. There are a few more buttons such as the info, menu, and RAW. Info has various levels of functionality from informational to zooming in when live view or movie more are active. The RAW button allows the user to switch between RAW, RAW+JPEG, and JPEG in various ways. All that being said, the K-7 offers a high level of tactile control. 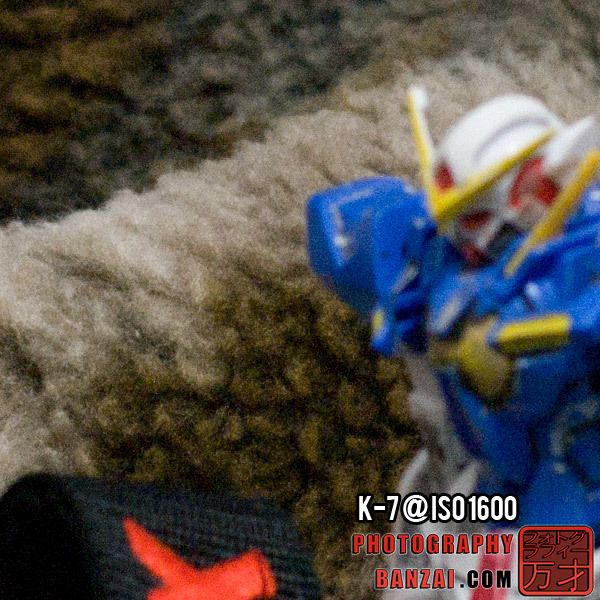 – If you are familiar with the K-7 you probably will know the stigma it has against it in the high ISO department. While it isn’t unjustified, the camera is very far from useless and can manage decent high ISO images, especially with some post processing. Later in the article, I’ll show you a simple scene taken with the K-7 and K-5 at various apertures to give a feel of the differences in that regard. Often when I use both cameras together, I put the faster glass on the K-7 to negate some of the problem. – As with high ISO, dynamic range isn’t as large when comparing it to the K-5. – The maximum resolution video mode of 1536×1024 30fps is an odd format for clips. The camera also doesn’t have true manual control when recording videos. – The SD card slot is a little difficult to use sometimes. – The camera doesn’t offer a one-touch button for video recording. You need to select video on the main control dial. 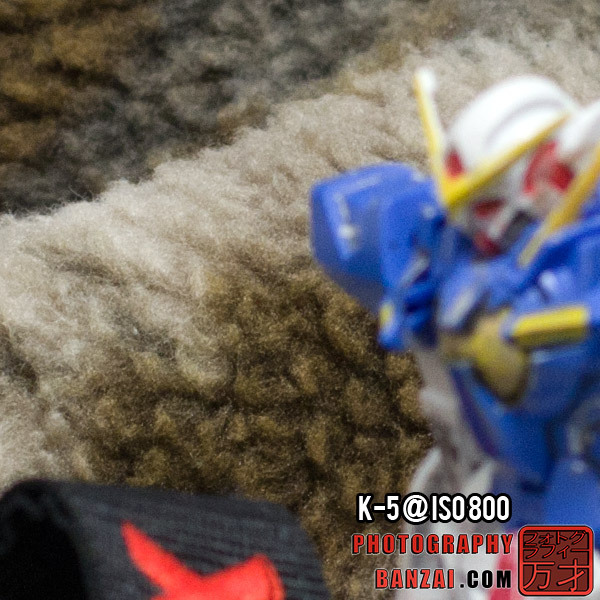 These are 600 pixel center crops of the K-7 and K-5 both using the DA* 55mm f1.4 lens. The only setting that was changed was the ISO, so a feel for the difference in sensor technology can be made. These are the type of results you can expect from RAWs with default settings and no tweaking. On the left are the K-7 images and the right are the K-5 ones. Click on each thumbnail for a larger version. For ISO 100, there isn’t too much of a difference. The final output of the K-7 seems naturally darker than the K-5 somehow, or maybe the focus was off slightly with one of the cameras. It could have been from slight changes in perspective as well. Both cameras should be using the same ISO/shutter/aperture settings. Considering ISO 400 should be more of the same as the ISO 100, I jumped up to ISO 800. This is the setting I try to keep the K-7 under when I’m using it. Both cameras look decent. ISO 1600 is the point where the K-7 starts dropping out. Although with some decent noise reduction software the results can be improved. Another jump skipping 3200 (looks like my k-5 sample didn’t focus properly), but otherwise the situation is like 1600 with more noise. At 6400 the K-7 is well out of the race. – K-7 is faster overall. It has 5.2 fps continuous and faster auto focus by a large margin. 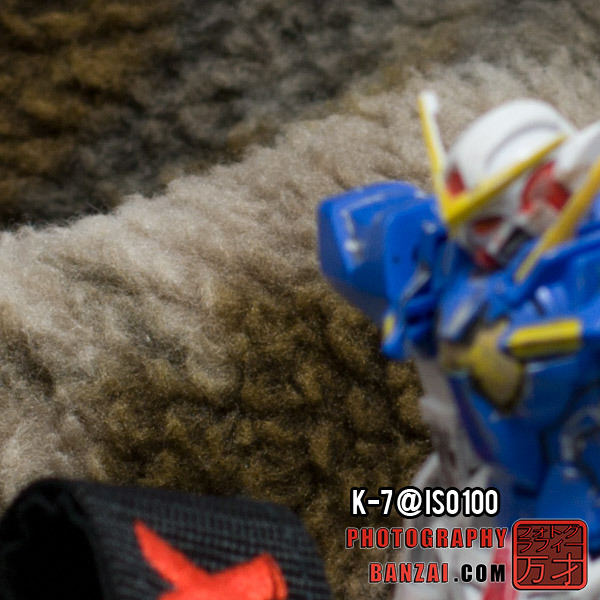 – The K20D sensor has slightly less noise or so I have heard. – While up to personal preference, I think the K-7 has better ergonomics than the K20D. – The K-7 is mostly encased in magnesium alloy and the K20D is all plastic. Both have weather sealing. – The K-7 has the benefit of being a stealthy camera without a grip, or a substantial camera with the grip for situations. The K20D is big and even bigger with a grip. – Price difference between the two probably isn’t that large, but the K-7 will still cost more in the used market. 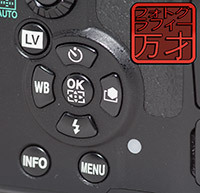 – The K20D has a few controls like the SR switch that the K-7 is missing. I did own a K10D for a while and thought it had a studio style layout compared to the K-7 that felt more like a field camera. Both styles have their place. – They both have live-view, but the K-7’s LCD screen has a lot more pixels (over 5 times as many) and can zoom to 10x magnification whereas the K20D stops at 8x. – The K-7 can record video. – They share the same body design for the most part. The K-5 has small control improvements such as the AF mode select switch being larger, the main control dial being larger, and the RAW button is now called Fx that can be configured to do different functions. – The K-5 has 5 user modes instead of one. This is helpful for the most part, but can be a hindrance when the camera is turned on and off a lot (the screen always turns on and asks you which user mode to use when the control dial is set to USER). I have on many occasions switched to the wrong setting because I forgot about that. That’s an improvement that really should have been supplemented with a new physical dial to switch between modes. – The K-5 sensor is of course stronger in dynamic range and high ISO compared to the K-7. However, I think the K-5 sensor produces a bit more unwanted chromatic aberrations than the K-7 sensor (purple fringing). – The K-5 is faster in both auto-focus and continuous fps, but I wouldn’t say there are vast improvements in those areas. Using both cameras at events at the same time, I never feel AF speed or FPS are a problem with either of them. – The K-5 is more expensive and, of this review date, still available new. It comes down to what you want in a camera and cost. The age and qualities of the sensor are a hindrance, but the size and control of the camera are top-notch. If you can afford a K-5, then that is probably the better option. Otherwise, you might be able to find a good deal on K-7 just for that assumed Achilles’ heel of a sensor. I bought a new old-stock K10D quite a while after owning the K-7 and eventually sold it because I was so tied into the ergonomic aspects of the K-7/K-5 series cameras. I would probably spend a considerable amount more on a used K-7 if there were an option to get a K20D in similar condition. I would consider getting a second K-5 and keeping the K-7 as a backup if the opportunity presented itself. 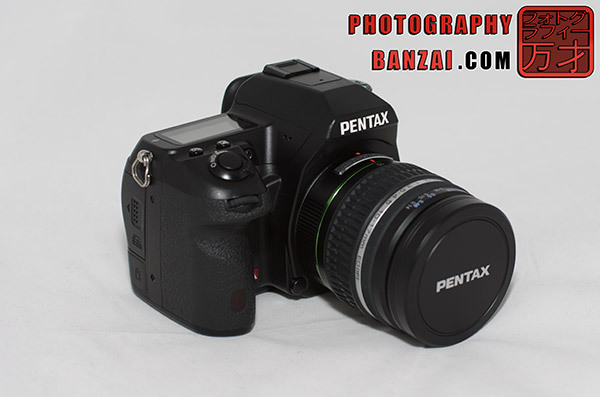 I believe that the K-7 was a positive focus-shift for Pentax. It signified a re-focus on factors that make their tools desirable to people like yours truly. The small size of the K-7 is something special in the semi-pro camera market. It has the build and functionality that give a confident feel, which can be as important in the moment of taking images as your final results are after the fact. There is no doubt the K-7 has the ergonomics and build quality to help further your work with confidence. Knowing your camera tools can be one of the most important aspects of being skilled, so if you understand and work around the faults of the K-7, it can be a great image capture device that is worth looking into on the used market if you don’t already have one. This entry was posted in Camera, Reviews and tagged camera, dslr, k-7, k7, pentax, review. Bookmark the permalink.